NHL News : Trade rumour: Puljujarvi catching the attention of several teams! Trade rumour: Puljujarvi catching the attention of several teams! Could the first rounder lock a spot up elsewhere than Edmonton? During a segment of TSN's Insider Trading, Darren Dreger revealed that while something needs to be done, it might have to eventually include a rival team that could be having growing interest for the former first rounder. “It’s caught the attention of teams around the National Hockey League,” explained Dreger. “That’s not to say that Peter Chiarelli’s phone is ringing off the hook with the interested buyers trying to scoop this player - that’s not the case. “And look, the Oilers are adamant that they are not going to trade Jesse Puljujarvi anytime soon. It is a coach’s decision and Todd McLellan has the right to choose who he puts on the ice. 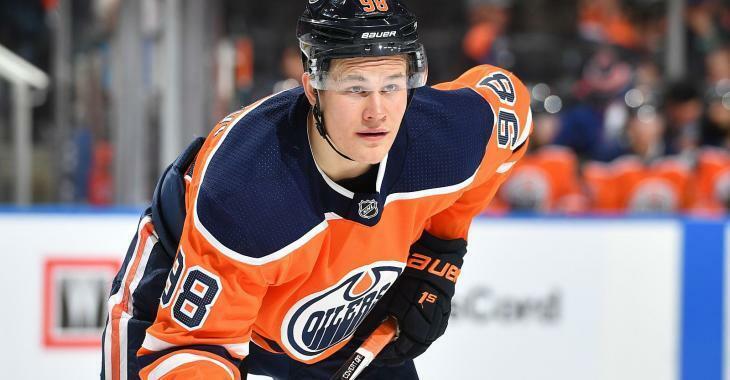 Puljujarvi is in the final season of his entry-level contract, and will it would be important for him to step up and produce in order to land another contract with the Oilers, the young forward could convince Edmonton and another team that a change of scenery if needed and could eventually lock down a spot elsewhere.